Home ♦ Build ♦ The Ultimate Tow Vehicle Is For Sale! I know. 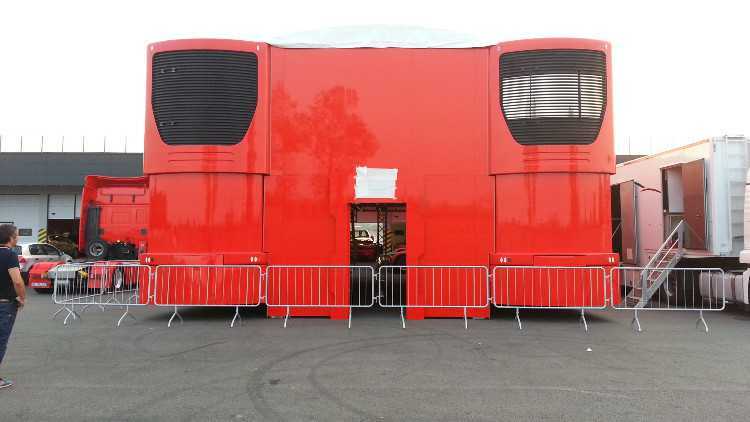 Its Ferrari’s hauler. Of course its the Ultimate Tow Vehicle. But now its for sale. You could own this! You just need Euro 199,000. Oh and you need a way to get it all over to the States I suppose. But if you can afford a trailer like this you can afford to ship it here. Here are the details from Motorsport Auctions. 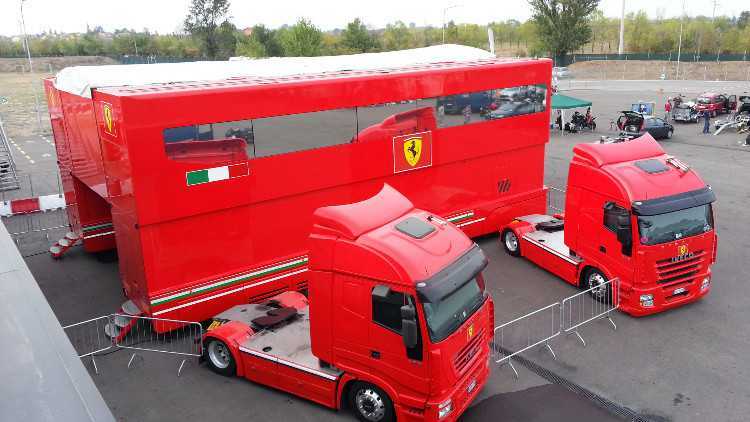 Ferrari F1 Transporters / Motorhome 2003 – 2013 For Sale by Silvano Caira with AstaCar! This is a unique opportunity for race teams, private collectors or Ferrari aficionados. 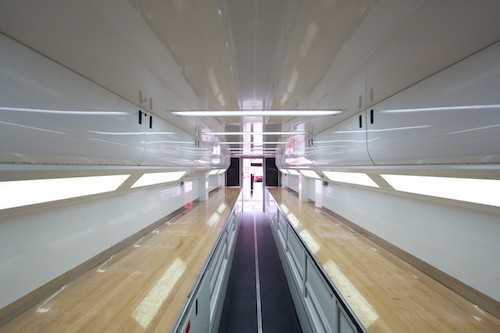 A pair of custom build Ferrari F1 TEAM race trailers and they are for sale now! 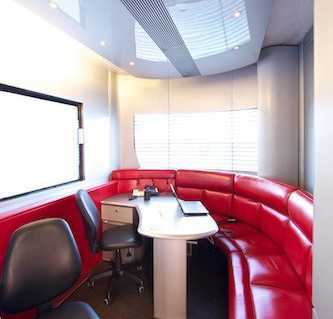 These race trailers are so much more than Motorsport Transporters. There are two trailers offered for sale, plus tractor units and the framework and covers to assemble a complete and very large work area. Call Silvano to discuss the most suitable option for your needs. 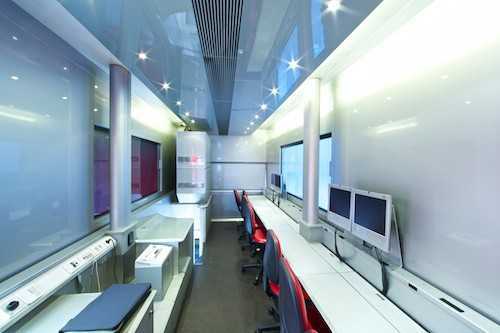 Exclusive Technical Motorhome Wheelbase Engineering ex Ferrari F1 (used in all the circuits of Europe until mid-season 2013) . The vehicles, complete with the original Trucks (Iveco Stralis 480 e 540 with just a few km) can be used in pairs (like the F1) or separately. They rise to a height of 7 meters thus having 2 floors and they can join together to form an area of over 200 square meters. There are the Transport units that Ferrari have used for the last 10 years (with constant updates), from the world titles of Schumacher until the last season with Alonso and Massa. There are plates of the Drivers and Technicians in the seats of the conference table and there is the office of Team Principal Stefano Domenicali. These Motorhomes can also be sold separately, one is for office and repair service use, the other can also carry Formula cars. The trailers are based in Italy. This offers a race team everything they need when at the circuit, with style and elegance that will impress any team sponsors and guests. The condition is exactly as you would expect, and you can imagine, price was not the highest concern when it was built, practicality and style would have taken precedence.